Comedians David Kau and Kagiso Lediga are taking the 66th Cannes Film Festival by storm. The two were there for the screening of their latest film called Blitz Patrollie in which they play two policemen. 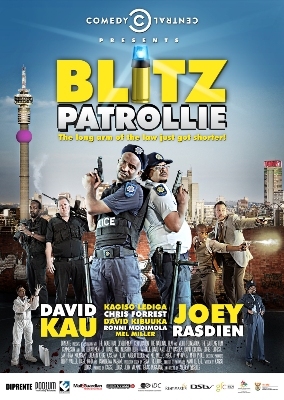 The film received rave reviews and the producers of Blitz Patrollie signed a deal with Picture Tree International whom will become the International sales agent for the hit comedy. David Kau and Kagiso Lediga were also invited to the screening of 'All is Lost' a film directed by JC Chandor, which features acting legend Robert Redford.